Combine everything except the chicken, refrigerate until ready to use. Spray the thighs with some cooking spray. Season with salt and pepper (optional). Grill or bake the chicken at 425 for 20 minutes. I recommend grilling you get a crispier chicken that way. Baste the chicken with some of the sauce during the last 5 minutes of cooking. If you love a super saucy wing like me, toss the wings in a bit more sauce after cooking and serve. This recipe makes more bbq sauce than you need for just one meal of this. I like to reserve the rest for future parties. Makes 6 “wings”. Each wing is 150 calories, 4 grams of fat and 1 gram of fibre. Just a couple tends to do me, served with some oven fries you have a regular pub night on your hands! 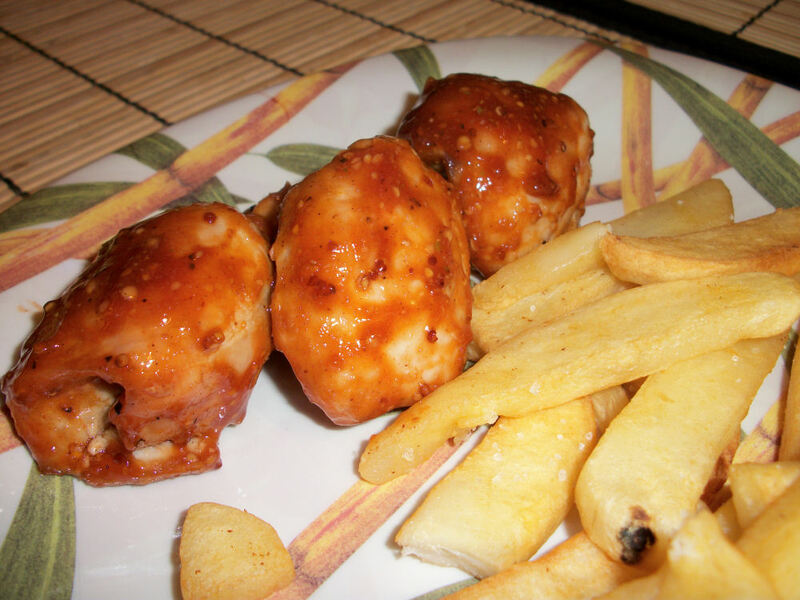 This entry was posted in Craving Buster, Dinner and tagged Chicken, sauce. Bookmark the permalink.